Stars of the film and various famous faces walked the carpet for the film's big premiere. It feels like we’ve been waiting FOREVER for the Tupac biopic All Eyez on Me to drop and the day has finally arrived. The film hits theaters nationwide Friday, June 16, but on Wednesday, the film held its star-studded premiere. The movie, which stars newcomer Demetrius Shipp Jr. as Tupac, Black Panther‘s Danai Gurira as Afeni Shakur, and Kat Graham as Jada Pinkett, focuses on Tupac’s rise to fame. All three were in attendance as well as a few other stars like Russell Simmons, MC Hammer, and Tia Mowry. Take a look at all the famous faces who came out to support the highly-anticipated film. 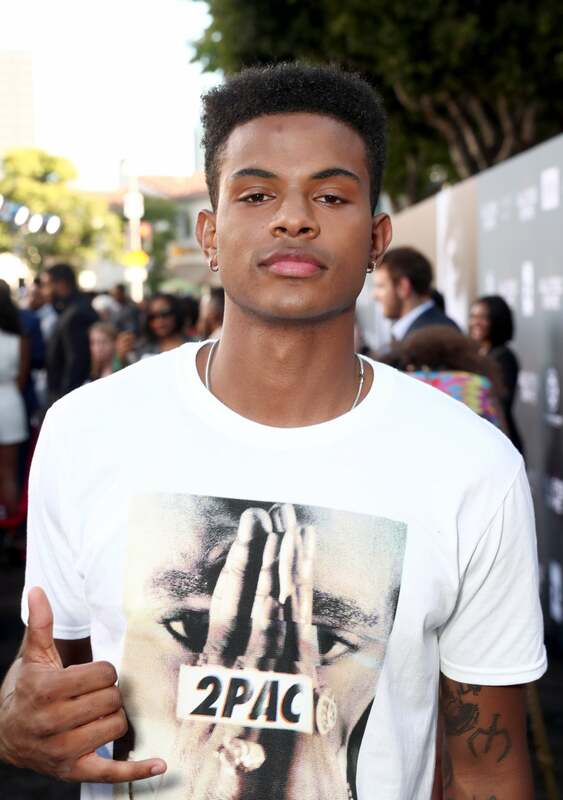 Trevor Jackson shows support and attends the "ALL EYEZ ON ME" Premiere in Westwood, California. 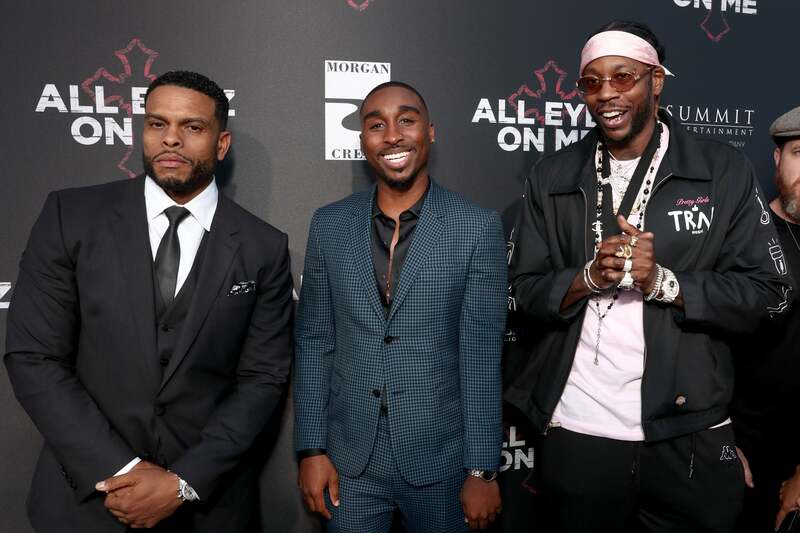 Benny Boom, Demetrius Shipp Jr., and 2 Chainz shows support and attends the "ALL EYEZ ON ME" Premiere in Westwood, California. 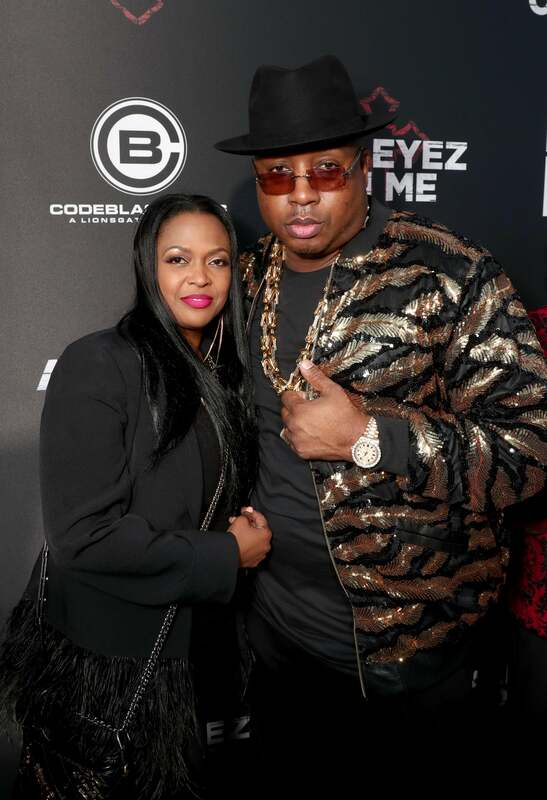 Tracy Stevens and E-40 shows support and attends the "ALL EYEZ ON ME" Premiere in Westwood, California. 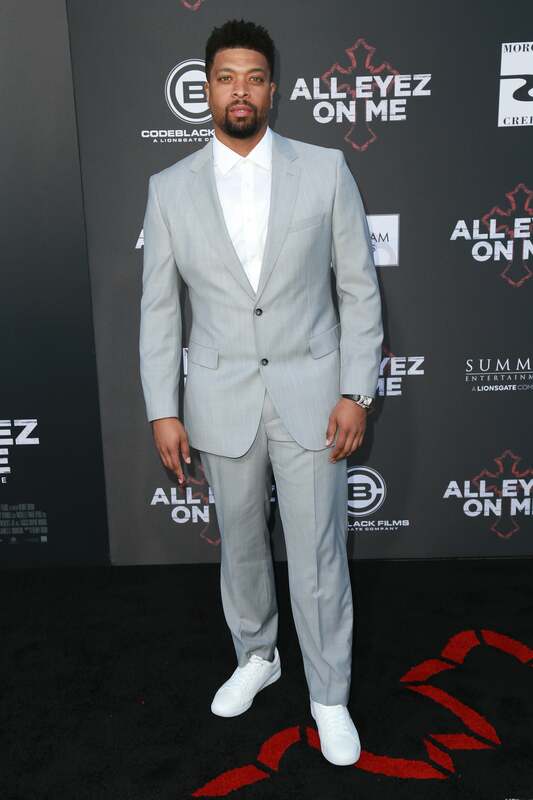 DeRay Davis shows support and attends the "ALL EYEZ ON ME" Premiere in Westwood, California. 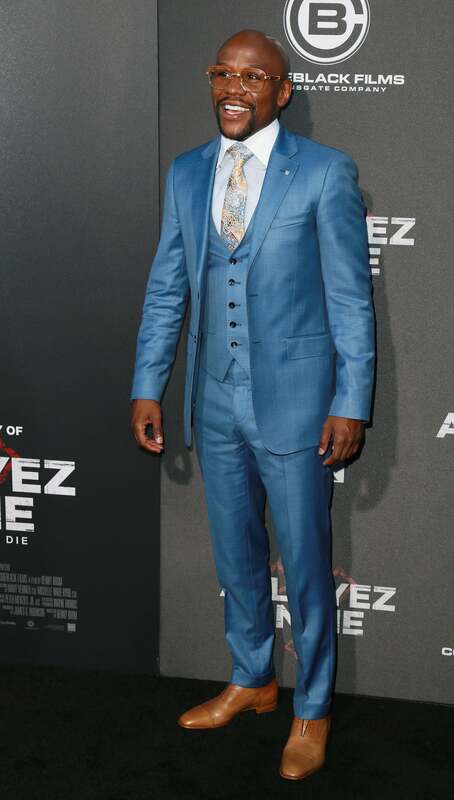 Floyd "Money" Mayweather shows support and attends the "ALL EYEZ ON ME" Premiere in Westwood, California. Danai Gurira attends the "ALL EYEZ ON ME" Premiere in Westwood, California. 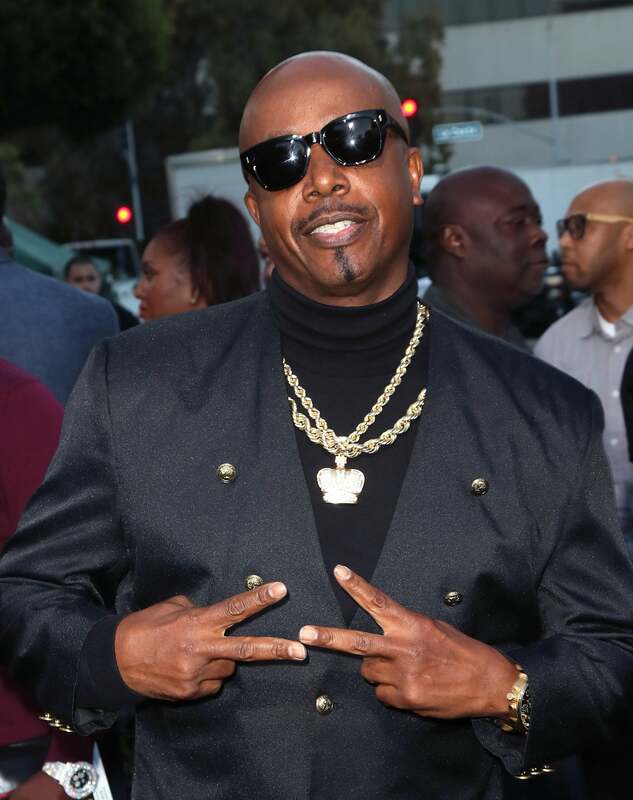 MC Hammer shows support and attends the "ALL EYEZ ON ME" Premiere in Westwood, California. 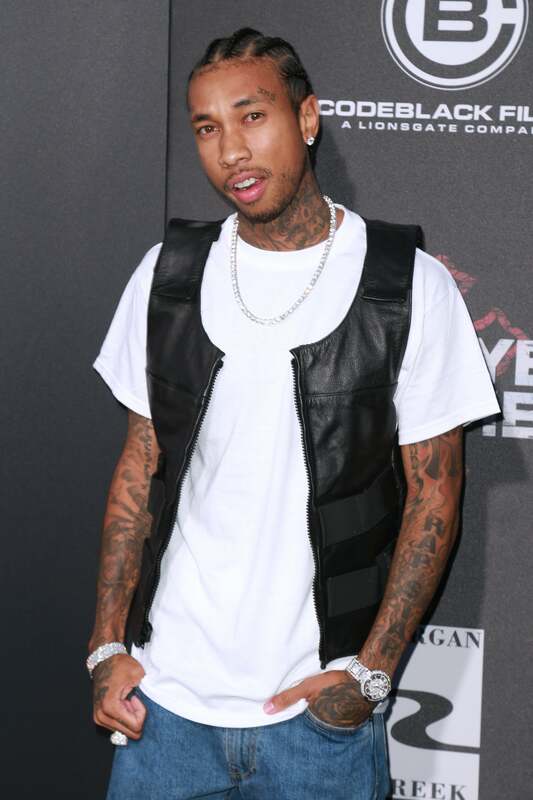 Tyga shows support and attends the "ALL EYEZ ON ME" Premiere in Westwood, California. 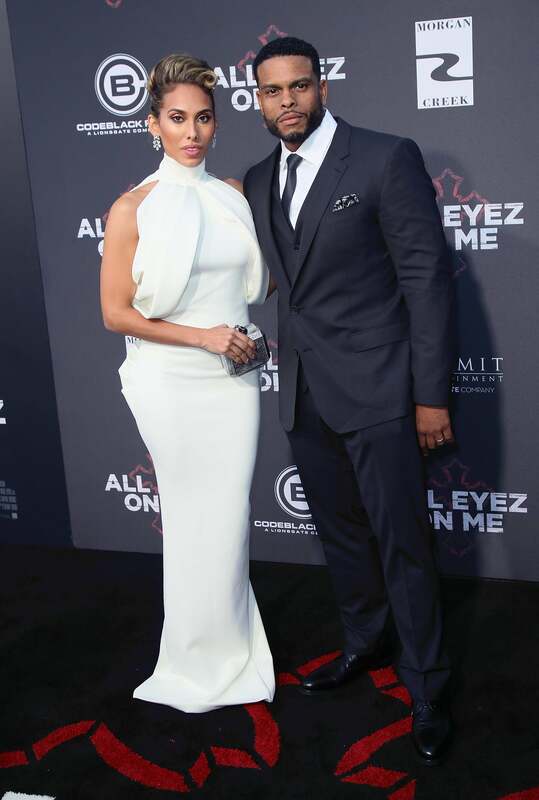 Nnamdi Asomugha shows support and attends the "ALL EYEZ ON ME" Premiere in Westwood, California. Erica Mena shows support and attends the "ALL EYEZ ON ME" Premiere in Westwood, California. Claudia Jordan shows support and attends the "ALL EYEZ ON ME" Premiere in Westwood, California. Draya Michelle shows support and attends the "ALL EYEZ ON ME" Premiere in Westwood, California. 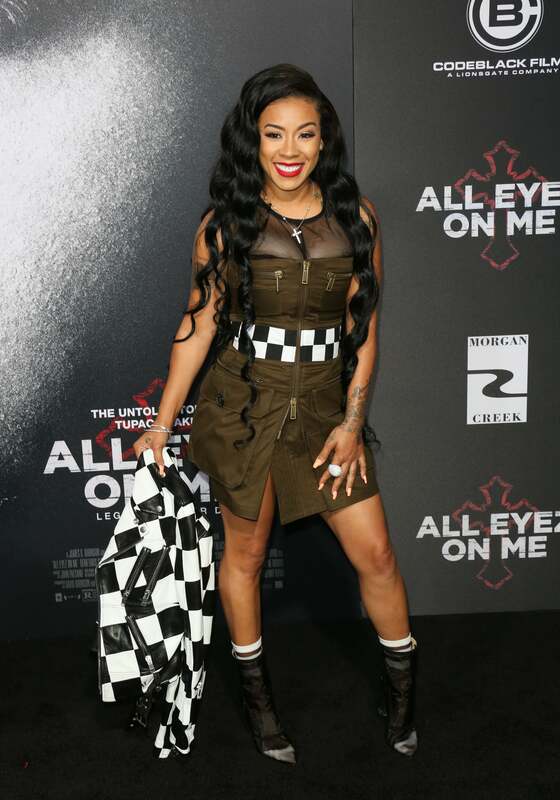 Ravyn Lotito-Douglas and Benny Boom shows support and attends the "ALL EYEZ ON ME" Premiere in Westwood, California. Daphne Wayans shows support and attends the "ALL EYEZ ON ME" Premiere in Westwood, California. 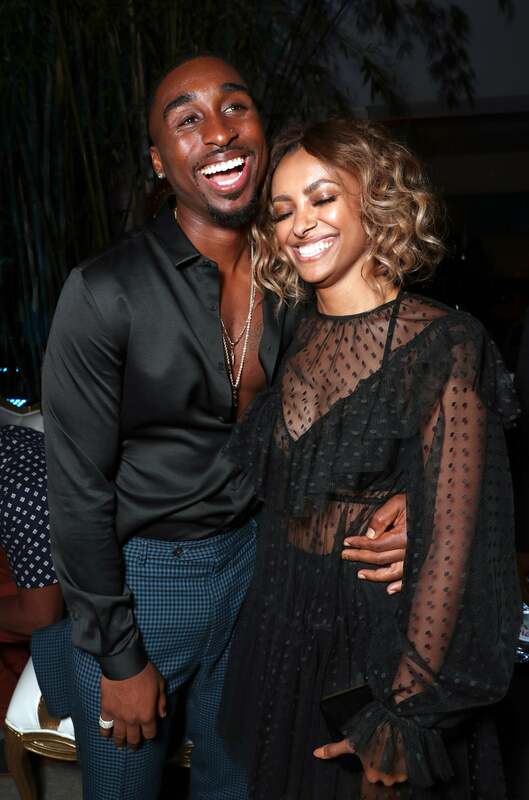 Demetrius Shipp Jr. and Kat Graham share a sweet embrace at the "ALL EYEZ ON ME" Premiere in Westwood, California. 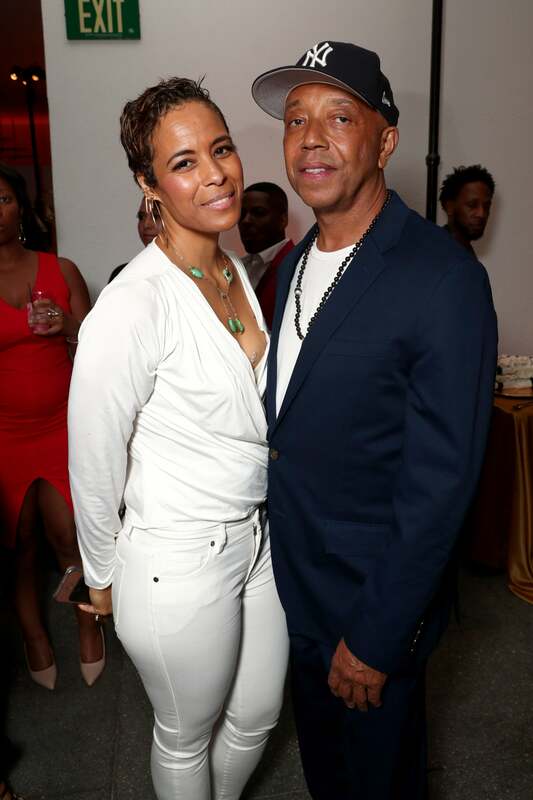 Daphne Wayans and Russell Simmons show support and attends the "ALL EYEZ ON ME" Premiere in Westwood, California. Mona Zohrehvand and Russell Simmons shows support and attends the "ALL EYEZ ON ME" Premiere in Westwood, California. L.T. 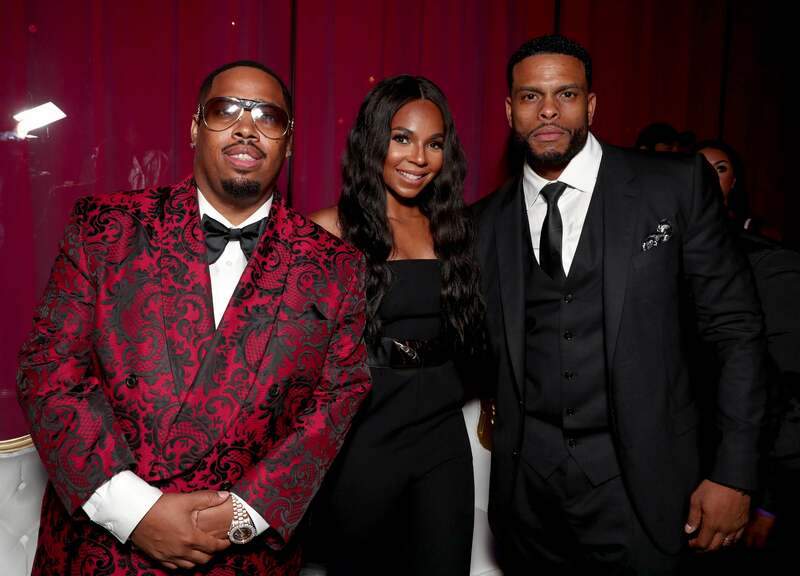 Hutton, Ashanti, and Benny Boom show support and attends the "ALL EYEZ ON ME" Premiere in Westwood, California. Tia Mowry shows support and attends the "ALL EYEZ ON ME" Premiere in Westwood, California. Kat Graham attends the "ALL EYEZ ON ME" Premiere in Westwood, California. 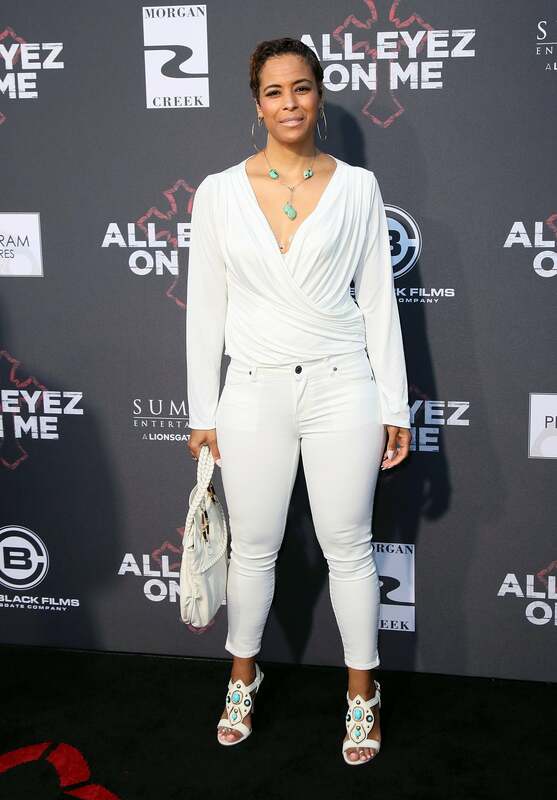 Keyshia Cole shows support and attends the "ALL EYEZ ON ME" Premiere in Westwood, California. 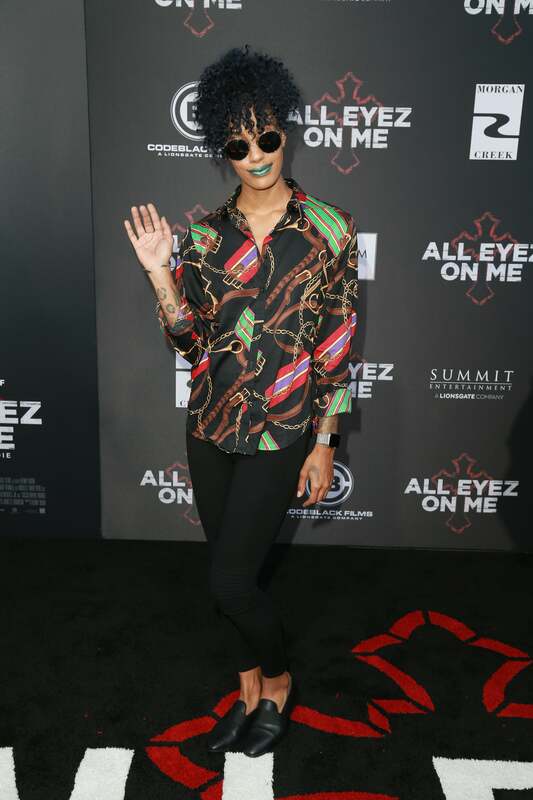 AzMarie Livingston shows support and attends the "ALL EYEZ ON ME" Premiere in Westwood, California.